The figure will be available for pre-order tonight from Bandai's Premium channel. No word yet on international availability. Stay tuned for updates! Uh, that's a statue, man. Not a figure. Don't ask me why there's a second peg on the base. フィギュア denotes figure. Sure, it's not poseable, but they're calling it a figure. For additional placement options? Because their stock of over 100,000 existing Figurine bases already exists? Also, do they advertise it as not being articulatable? I'm thinking it's from the figuarts sigma figure that flopped in sales. YES!!! This is my favorite armor. That's like expecting a corporate radio station to play anything but hit singles at prime-time. A huge company like Bandai isn't likely to invest time and money into the development and production of a B-list franchise character, especially for games which are decades old. Look at what we've already had; even after the main characters come out: we're more likely to get variants of those main characters instead of different/lesser characters. We were lucky to get Vile and bass in the D-Arts line, but that was quite a while after fans had proven their interest by buying-out basically the entire first run of every preceding figure. (I think the basic version of X was even out-of-print/reissued twice in the year before Vile was released.) Even after the success of the D-Arts line: Bandai chose to go with a 4th alternate version of Zero instead of a new character. People complain about "Zero killing the line," but do we really expect Alia, Serges, or a character like Split Mushroom to do better? If a company were to start with one Maverick: they would get flak for not making the others first, and then again for not completing the series if the first one doesn't sell well. The Mavericks also vary wildly in size, articulation, and design, which requires additional development and tooling beyond typical humanoid figures of roughly the same size. It makes absolutely no sense from a big-business perspective to invest in those characters. If you want smaller characters from old games: follow Wonder Festival; you'll have an easier time getting something like that in a small fan-made batches/garage kits. Yes. I know they made the financially safe decision but after the teaser showing the X/Counter Hunter dialogue my hopes went in a different direction. Yes, but Anon 2, there are fans out there who would kill to have figures of the Maverick bosses. To this day, many of them have some slick designs that still hold up pretty well. Split Mushroom wouldn't exactly be the first choice, but guys like Storm Eagle and Crystal Snail would be really solid figure choices. 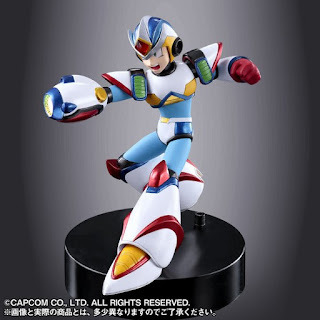 of course, some of us would want figure of maverick boss, or other suporting character. but the point here is not that. it's "how many people". let's say magma dragoon (one of the most popular maverick boss, with a cool design to boot) get a figure. you would buy it, i would too, protodude and the other people who follow that website would too. why? because we are "die hard" fan of Mega Man. but aside from us, no one would. 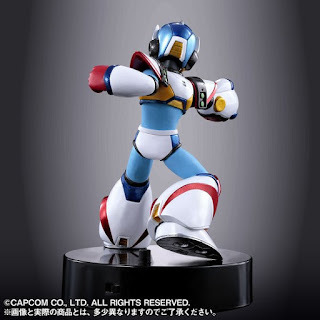 you'd need customer, who 1) are into figure 2)are into megaman 3)are into the X serie specificaly 4)like X4 and/or that one specific secondary character. that would not make that many people in the end. and they have to make sufficient volume for it to be profitable. Sure once you get the "2)" you most likely have the "3)" since X is one of the most popular serie. that's also where Zero got his ability to kill lines. fan of the Zero serie would love to see the 4 guardian as well, but even them would not be enough of a sure bet, since the Zero serie is not as mainstream as the classic and X.
i'm not saying that i would not enjoy some different characters. i would very much! if it was only up to me, we'd get Vile, Sigma, the coolest maverick boss, the 4 guardian, omega's armored form, Alia... but i get why bandai or someone else would not try that one. there might be a chance for Vile or something, if we had a way to show that there is a demand. That said, maybe a bunch of cheaper collectible or something else could happen. that would be nice. Zero "killed" the line tho. And before someone comes out of nowhere and says this is not the "same" line. Please save it. Cause if something killed a line it would be incredibly dumb to just make a new one and basically continue over and over again. Only $50? That's not bad for a nice custom statue that lights up, damn. Think I'll preorder that bad boy, I've been wanting to see the Giga Armor make it's collectible debut for a while now! Yeah it's a shame that line stopped. Is it just me, or does the paint look a little sub-par on this prototype? Usually there's a little extra effort put into the prototype, though I'm sure that it's hard to make such a small figure look detailed with close-up shots. No, it's definitely rough. I guess if it were any better or more clean, they'd be asking for around $100 for it. Okay Bandai's website is seriously cheesing me off. With Capcom's e-Shop in Japan I could just enter all of my Tenso info as the contact and shipping address and I was off and running. With Bandai's site I get 99% of the way there and then it complains that I'm entering my name in "half width hiragana" instead of full width, and no matter how I translate my name or what website I copy and paste it from (or even any random hiragana characters that aren't my name) it still says the same. Grrrrr. I got my order through tho, had to select pay the delivery driver option. lol Maybe that'll work for you. Unless you're trying to order it from overseas then idk, best of luck. The Nippon Yasan pre order link finally solved my problem. I don't think I'll be dealing with Bandai's website ever again for anything link this. eCapcom 1, Bandai.JP 0. Now, that aside, this isn't that "Bit and Byte" thing they were teasing, is it? I went to their webpage, but dont know any japanese. Any guide on to how to order it? is it even available yet to international buyers?? Not yet. 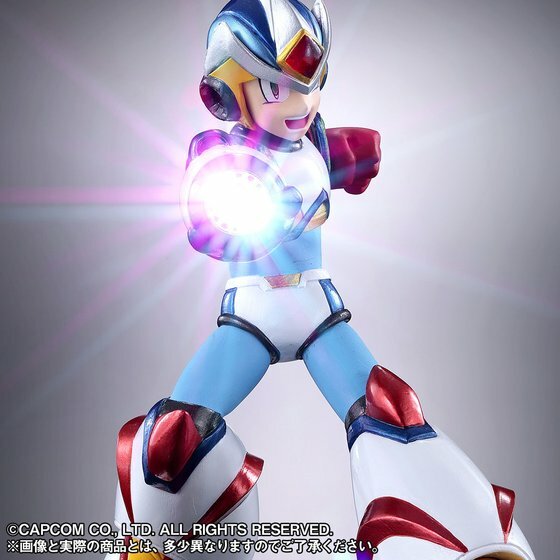 We don't know if Bluefin will bring this stateside (Bandai US distributor). I just preordered mine, with the pay later option. I kinda wish it was modeled after the US box art & had him decked out in the 2nd armor while on the ride chaser cheval ^_^ I always dug that box art! That would have been sweet, but at least we're getting the Giga Armor Series Rush Chaser. rather nice for the price. a second armor figure was my guess. x-hunters would have been nice, but i'm fine with this too. 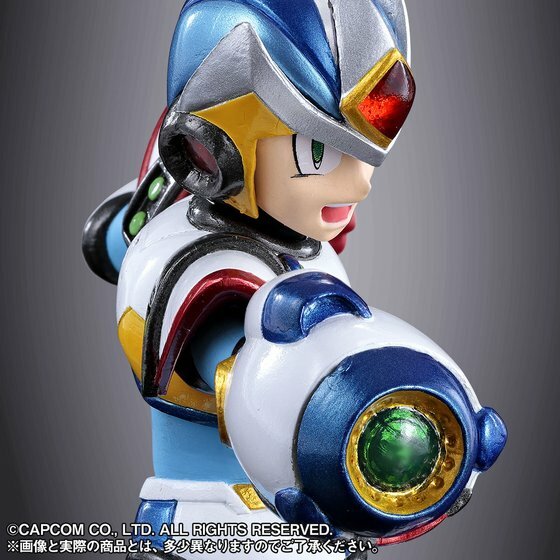 i have wanted another of X armor for a while. Really should have just made a figure with a "shoryuken" accessory. still a good news, for me. the painting look a bit brash, but it's a rather accessible price, so i'm not surprised. i will probably pick it. On a side note, about others characters, we should find a way to show buisness that it would be a viable choice for them. like agreing on a character, a popular one for better effect, and make a petition (or something else with a name that sound better) for it to show that enough people want this character to justify making it. of course, it backfire if it happen that there is not enough peoples, but i prefer to be optimistic.